Don’t miss Dr. Karen Ruskin’s live interview discussing The Cheater Meter on FOX & Friends this upcoming Saturday October 22nd at 7:50am. 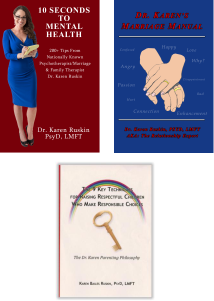 Dr. Karen’s newest release: Dr. Karen’s Marriage Manual is a cutting edge book that includes a section entitled: The Cheater Meter, offering couples the opportunity to learn the 6 signs to predict if their spouse is cheating, cheating prevention, and how to win your spouse back if he/she is cheating with concrete “to do’s”. If you missed this live interview, click the play button below to watch it now.